Colonel Stephen S. MacWillie, 65, a Master Army Aviator with more than 1,800 hours of combat flight time died on April 8, 2006 in Birmingham, Alabama. In 1967, Colonel MacWillie served his first tour of duty in Vietnam with the 229th Aviation Battalion, 1st Calvalry Division. During his second tour in 1970, he served as chief of the new equipment training team introducing the OH-58 Kiowa Warrior to the Army aviation fleet as the new scout helicopter. 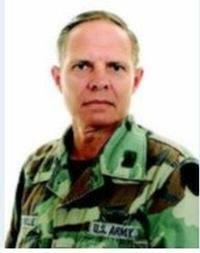 From 1982 until 1985, he served as Commander of the 2nd Battalion (Basic Training) at Fort Bliss, Texas. He subsequently served as the TRADOC System Manager for the RAH-66 Comanche. His final assignment until retirement in 1993 was as Director for Combat Developments at Fort Rucker, Alabama. Following his retirement, he continued to serve the Army in a number of support roles. He was a lifetime member of the Army Aviation Association of America, the Military Officers Association of America, the Vietnam Helicopter Pilots Association, the Association of the United States Army, and the American Helicopter Society. His awards include the Legion of Merit with three Oak Leaf Clusters, the Distinguished Flying Cross, and the Bronze Star Medal.